Manuel Carrillo January 18, 2016 Comment Now! You needn't have a near-death experience to go into the light. 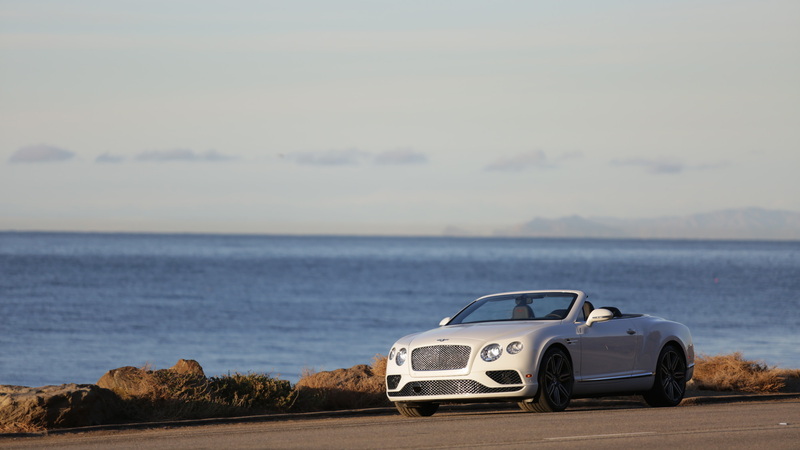 Simply driving a 2016 Bentley Continental GT Convertible up California's majestic Highway 1 will do. Like a lover's caressing touch, this Bentley is sensually opulent enough to make you shudder. Pair a car of the Conti's caliber with breath-arresting scenery, and you have an experience akin to walking into the light, or better yet, driving into it. In my 30 years as a California resident, I had never used "the 1" as my main route to San Francisco. If you take the direct route, Interstate 5, you're looking at a five-and-a-half-hour trip, but that's as boring as reading the Internal Revenue Code. I don't care what car you're driving: I-5 through California's digestive tract is mind-numbing. The alternative is to take U.S. 101. It adds an hour to the L.A.-S.F. journey, but more importantly, it adds scenery. The 101 kisses coastline, winds through rolling hills, and dances through agricultural countryside. And if the 101 is a swift pain-reliever to the 5's aching ennui, Highway 1 is full-blown heroin. Most of California State Route 1 is great, but the Big Sur section (the stretch between San Luis Obispo and Carmel) is the most scenic. In fact, the United States Department of Transportation has recognized that section of Highway 1 as a National Scenic Byway. Yep, like USDA meat, this road is government-approved. CHECK OUT: McLaren P1 Suffers Serious Crash In Washington, D.C. Unfortunately, the speeds you tend to travel on Route 1 are government-approved. They're slow, and often well below the designated speed limit. Along the route you'll often find yourself behind families of tourists in rented Dodge Caravans. Apparently, scenic heroin's side-effect on the non-auto enthusiast includes a light right foot. But, somehow, I didn't care I was taking it slow on Highway 1. The Bentley Continental GT Convertible, while capable when you need it to be quick, is one of the few cars that's satisfying to drive slowly. Because of its combination open-road power and clogged traffic luxury, I think it's the best new car you can buy specifically for the task of driving up Route 1. Anything sportier would be torture to drive slowly. Anything more luxurious would call for a chauffeur. Of all the ingredients, I blame the twin-turbo W-12's satisfying-while-slow nature. It's silky in any rev range. When ambling about, it's as if the motor creates frequencies that throw you into a meditative state. If you fight the tranquility and hammer the W-12's 582 ponies, you'll tap into the car's extraterrestrial levels of engineering. The VW-sourced mill nearly beckoned with me to rail on this car, but for the right reasons. When you go fast in this car, you're not doing it because your inner child is commanding you. You're doing it for science. Think about it. Anytime you hustle this 5,500-pound bank vault to 60 mph in 4.4 seconds, you're achieving a miracle of physics. 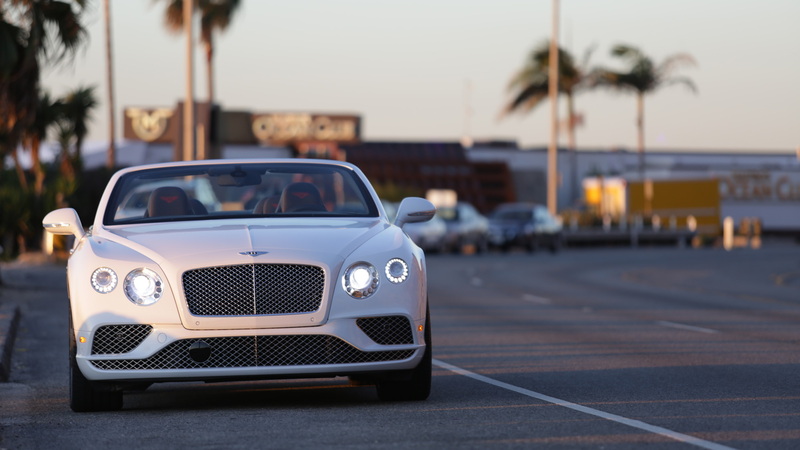 Once you ease off the throttle, the Bentley's smoothness returns to the forefront, and it doesn't end with the motor. Within the first few feet of driving the Continental GT Convertible, you become smitten with how it can smooth-talk you. It communicates so much softness through all its sensation points, you'd think a pick-up artist was whispering through your fingertips and backside. In a flash, this car could convince Helen Keller that a romp in the Queen's chambers would be the best course of action. Is the V-8-equipped car better? I haven't driven a Continental V8, but I have driven the twin-turbocharged, V-8-powered Flying Spur. Compared with the Continental GT W12, the Flying Spur V8 feels like a sports car. I had a lot of fun spurring Bentley's "entry-level" sedan. A V-8 Bentley, while undeniably refined, is more eager to get wild. The Flying Spur V8 is like a night out with DiCaprio and 20 models. This Continental GT with the W-12 is like a fireside chat with Neil deGrasse Tyson. Both are enjoyable, but they appeal to different personalities, and at different times. For this slow drive up the coast, the W-12 is a better companion, mostly because my testing regimen excludes plunging cars into the Pacific. At $274,790 as-tested, the last thing this car needs is saltwater submersion, but much of my road trip was spent getting the GT wet. I think this English car attracted English weather to sunny California. All the better, though. We need it. It felt like the Bentley needed it, too. Its all-wheel drive craved the slick roads. The skies may have been gray for much of my journey with the Continental GT, but as far as traction was concerned, it was 72 and sunny. Stopping at gas stations along the way up the coast, I received plenty of 72-and-sunny smiles. I even made a couple of new friends along the way. The Continental GT is an exercise in simple and distinguished design. This car attracts lots of attention. I was surprised, however, that it was less of a head-turner once I got to San Francisco, but then I was reminded how S.F. is less car-obsessed than L.A. As my "victory lap" for making it safely into town, I took two runs down the famous slithering portion of Lombard Street. Not one head turned. Everyone was too occupied with their selfie sticks. I, however, remained occupied with the satisfaction of driving this fine automobile, and thus came to a realization. 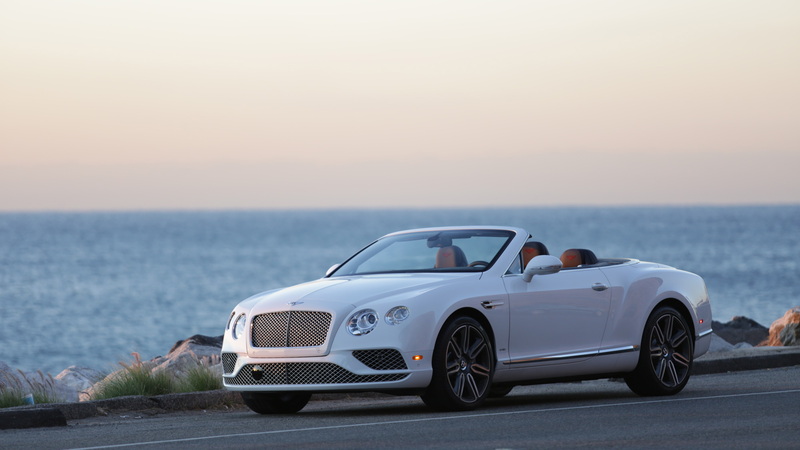 If you're going to buy a drop-top, and if your wallet can handle it, an ultra-luxurious car like the Bentley Continental GT Convertible is a good choice. Less-expensive, but sportier cars like an Aston Martin DB9 GT are best left in their coupe configurations. With sporty GTs, cowl shake dilutes the overall purpose of the car. The Continental GT is luxurious enough that its minor cowl shake is but a puny tenor peep amid a baritone blast of opulence. 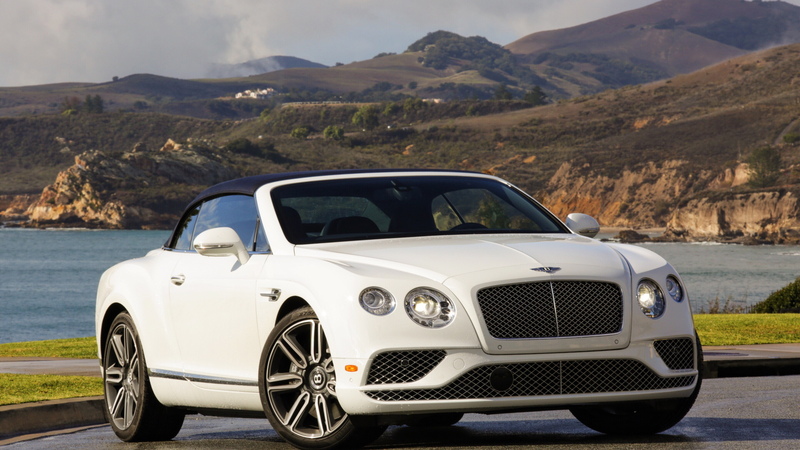 Bentley's infotainment system, however, incites an aria of anger. It is more like Volkswagen's second-rate tech than Audi's leading-edge stuff. Getting a pain in your neck from Bluetooth pairing is something this end of the luxury car spectrum could do without. Infotainment quibbles aside, I'm blown away by how well the Continental GT Convertible matches with Highway 1, and how well it matches with the imagined richer version of myself. My weekend with this car was so good, it changed me for the better. My flames of ambition are now burning brighter than ever. I need to figure out a way to be able to afford one of these cars someday because I really want to own one. I had never dreamt of owning a Bentley Continental GT Convertible, but my experience with this car has changed my dreams, and it's made me want to strive harder. Many consumers are quick to call any automobile, no matter how nice, simply a four-wheeled machine. The Continental GT is the opposite of a machine. It's my muse for living a more lavish life, and realizing more of my hopes and dreams. 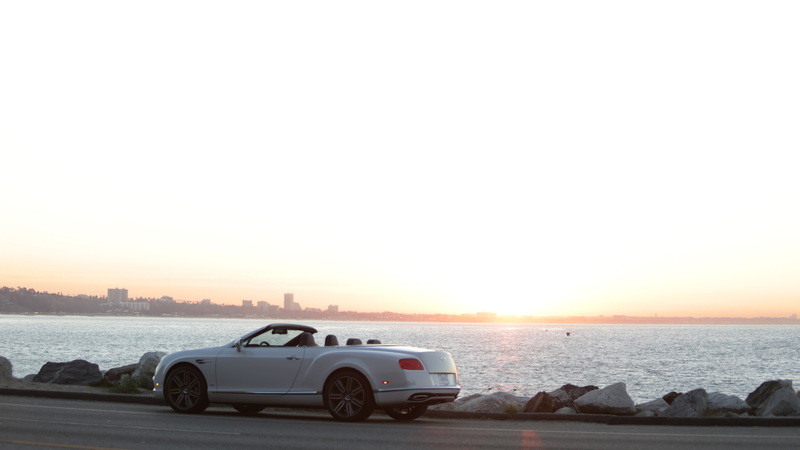 When I begrudgingly dropped this car off at SFO after my weekend with it, I had to stand still and give the Bentley one long stare; not to say "Goodbye", but to say, "See ya later." I'm unable to testify to the effectiveness of positive affirmations, but I'm willing to try repeating the following one if there's any chance it could help. I will own a Bentley Continental GT.